Happy Friday! I'm back home in the sunshine of Texas, but not for long...I hear storm's-a-comin! It rained 99% of our time in the Big Apple. How's a girl supposed to dress in dreary weather like this?! Plus, doing lots of walking in the city, I knew I needed comfort shoes...not always the chic-est, right? 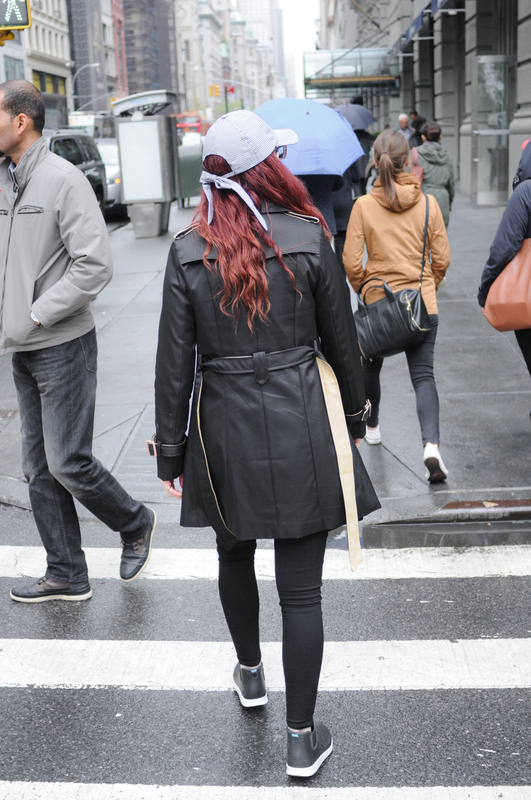 (#thestruggleisreal 😏) Read on for my rainy day outfit guide! 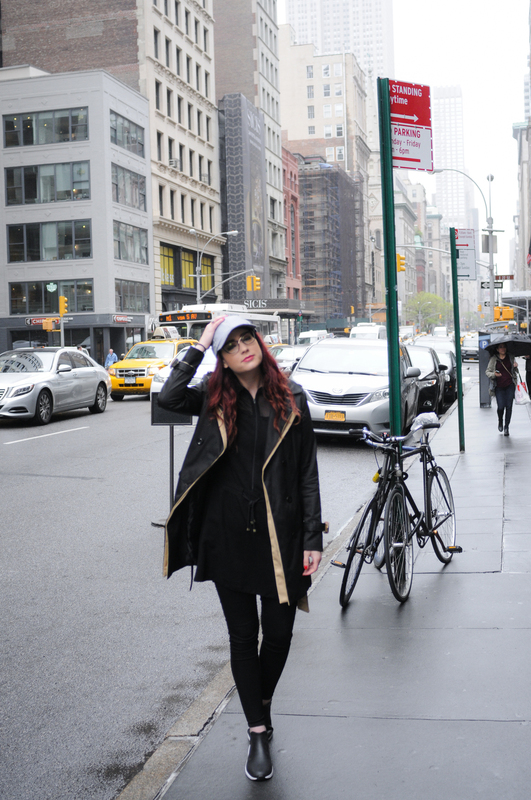 Ditch the good hair goals and roll with a hat! It wouldn't be your best hair day (sorry to break the bad news! ), so you'll be glad you did. I've been looking for the perfect opportunity to pull out my gingham hat (if you missed the memo, gingham is EVERYWHERE and EVERYTHING right now -- now ya know!). The bow tie in the back is just too cute.